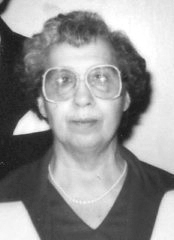 TORONTO — Margaret L. Wiles, 96, formerly of Toronto, Ohio passed away on Thursday, April 11, 2019 at Eagle Point in Orwell, Ohio. Born in Salineville, on Sept. 23, 1922, she was a daughter to the late George N. Thomas and Irena Garren. She was a 1940 graduate of Toronto High School. In addition to her parents she was preceded in death by her husband Leonard L. Wiles; four brothers: Ronald Thomas, William Wiles, Robert Wiles and George Wiles and four sisters: Myrtle Criss, Pauline Lawrence, Marjorie Vrock and Elizabeth Wright. Services will be held at 1 p.m. Monday, April 15, 2019 at the Care-MacLean Chapel in Wellsville, with Pastor Mark Blakely officiating. Burial will take place in Sugar Grove Cemetery. Family will be present to receive friends one hour prior to service at the MacLean Chapel.